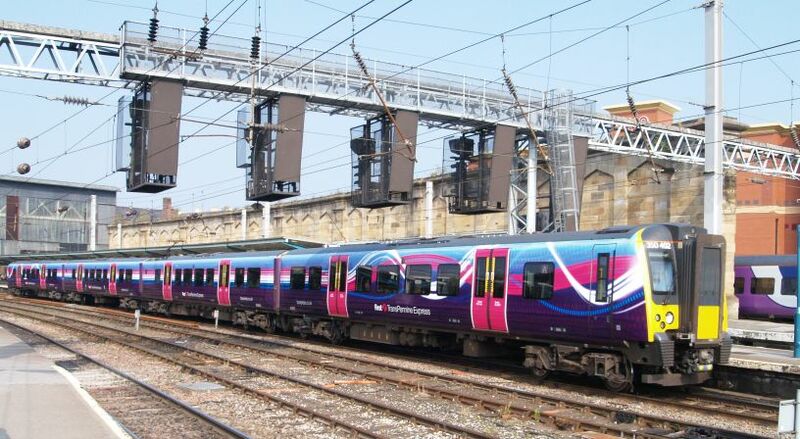 Class 350 units are constructed of welded aluminium suburban and these EMUs operate off 25 kV AC overhead supply or 750 V DC 3rd rail. 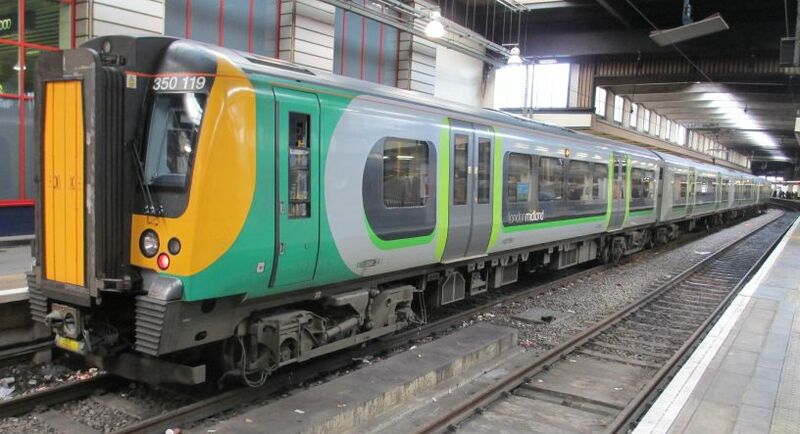 Class 350 4-car EMU trains were/or being built by Siemens AG between 2005 and 2014 and have a maximum speed of 100-110 mph. 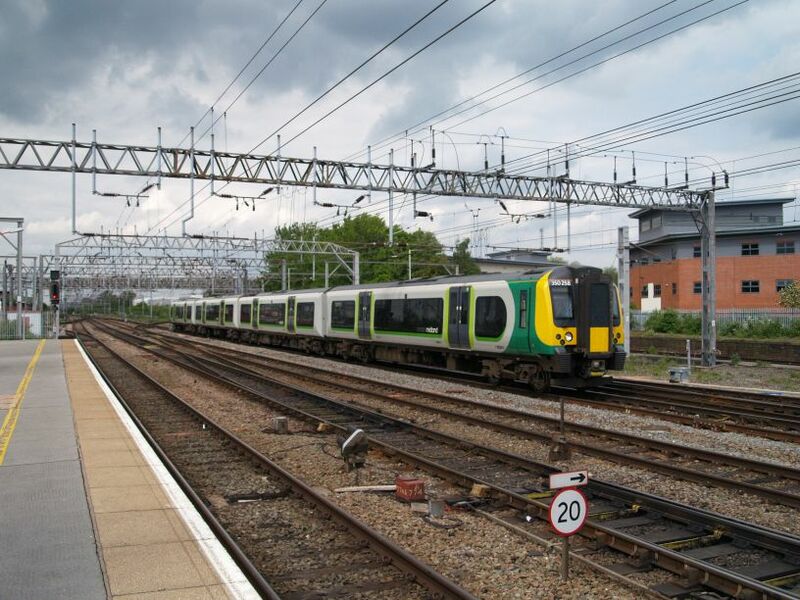 Class 350 EMUs can be deployed as high speed local suburban or longer distance quite high speed trains e.g. 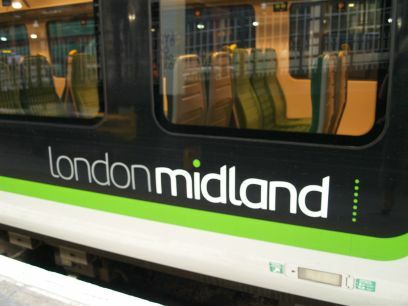 on the North-West mainline. 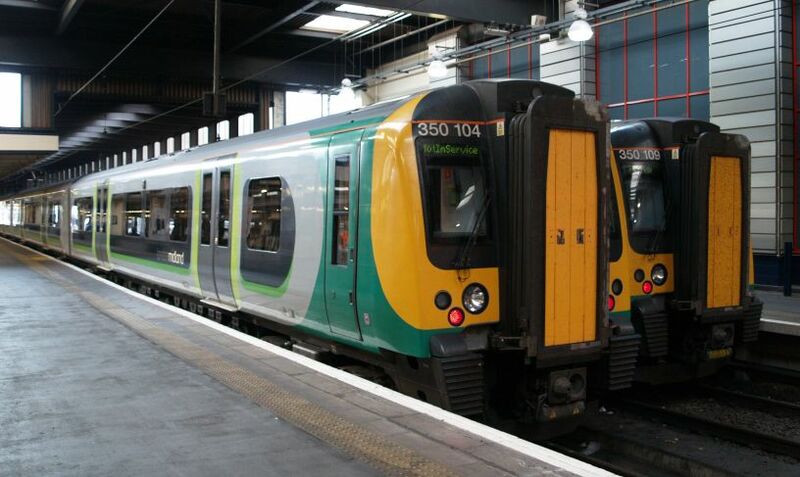 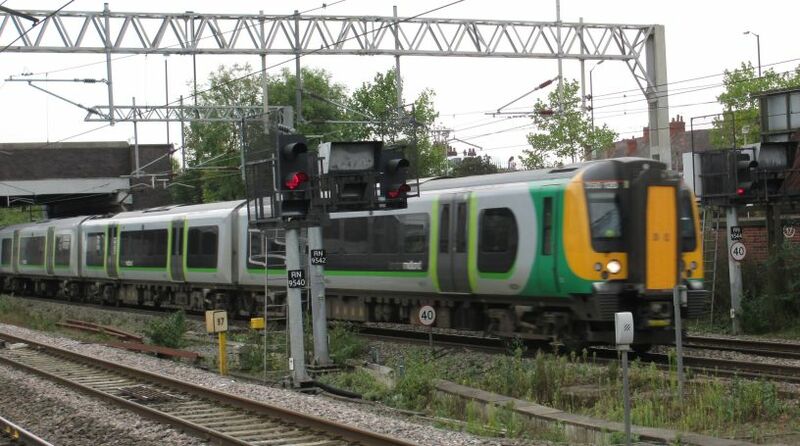 Class 350 EMUs are operated by London Midland e.g. 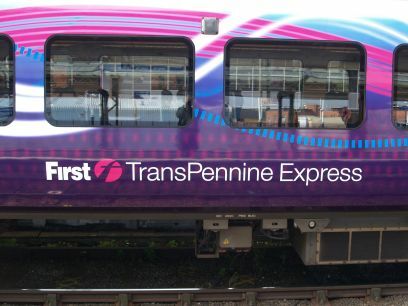 from London to the Midlands and up the Northwest Mainline to Crewe and Liverpool and First TransPennine e.g. 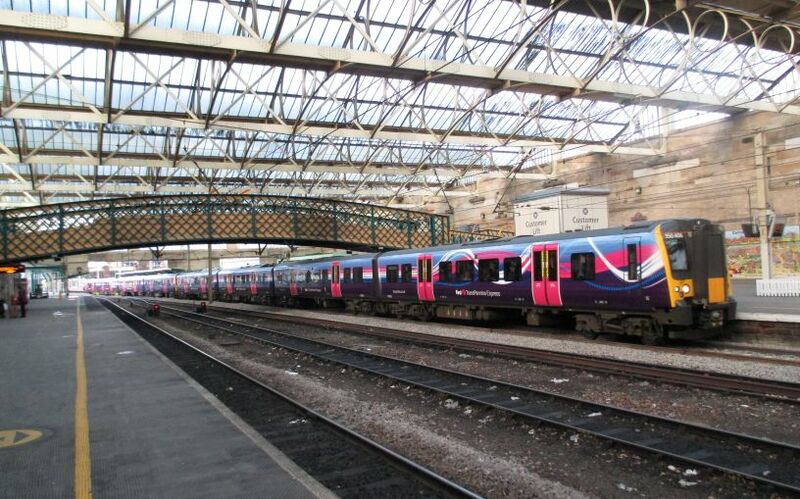 Manchester to Glasgow/Edinburgh. 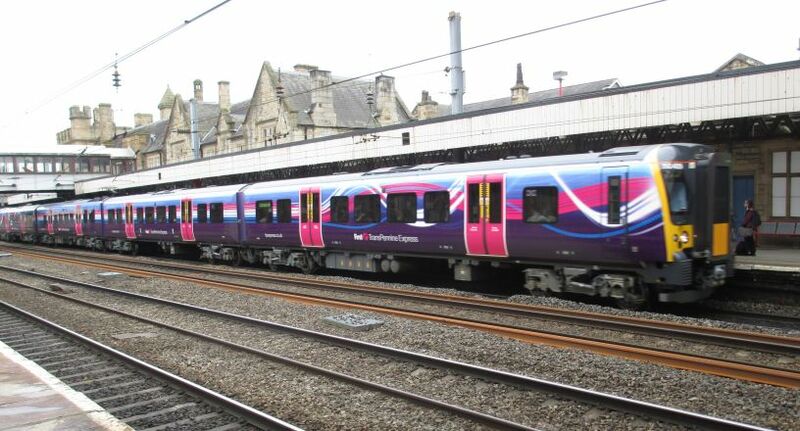 Class 350 EMU 350405 at Carlisle in the new 2017 TransPennine livery with an Edinburgh Waverley to Manchester Piccadilly service. 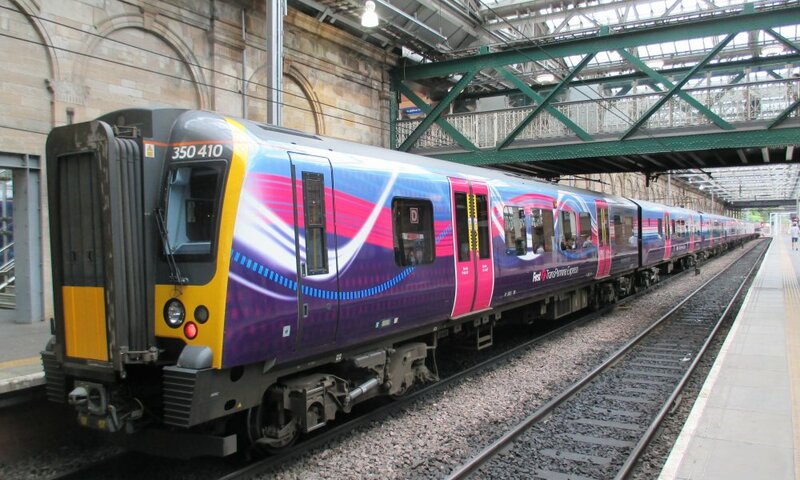 TransPennine Express Class 350 Class 350/4 to be precise EMU 350410 at Edinburgh Waverley station with a train for Manchester Piccadilly station (July 2016). 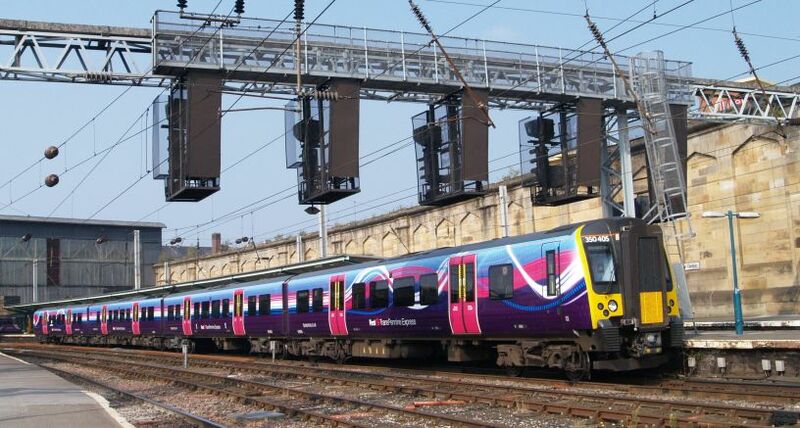 The Class 350/4 EMUs (350401 - 350410) are operated on the Manchester Airport to Glasgow and Edinburgh services. 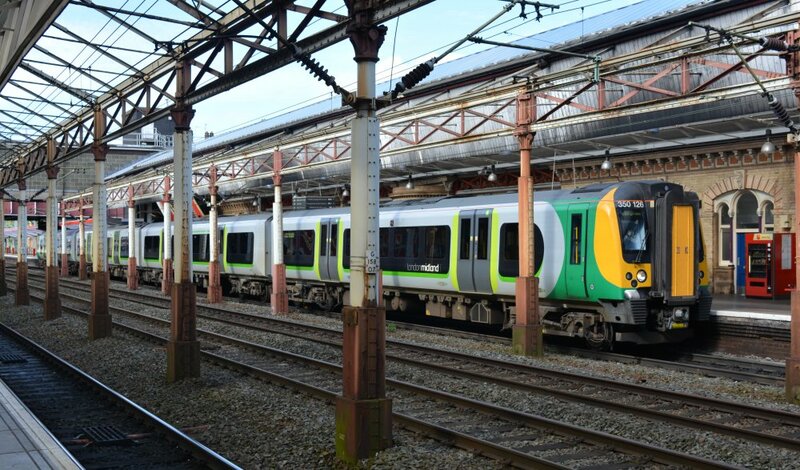 Class 350 EMU 350126 at Crewe station with a London Midland service from Liverpool Lime Street to Birmingham New Street (05/09/2016). 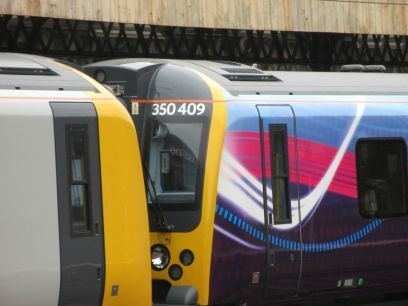 Class 350 EMU leading 3-car set unit 350402 at Carlisle station with an Edinburgh/Glasgow TransPennine train for Manchester Piccadilly. 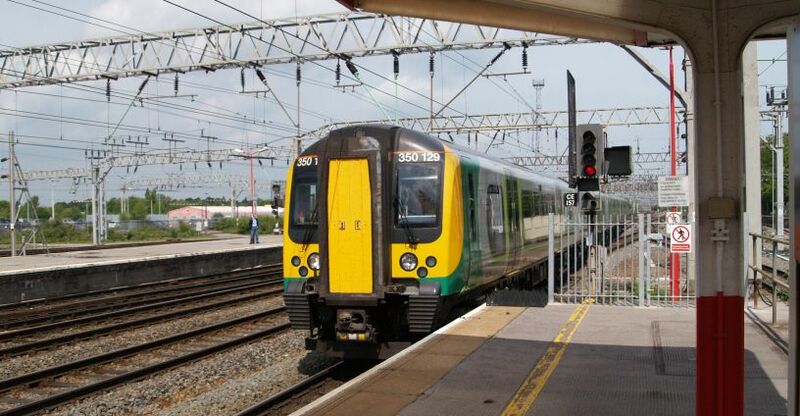 London Midland EMU Class 350 350128 (350 128) at Crewe station. 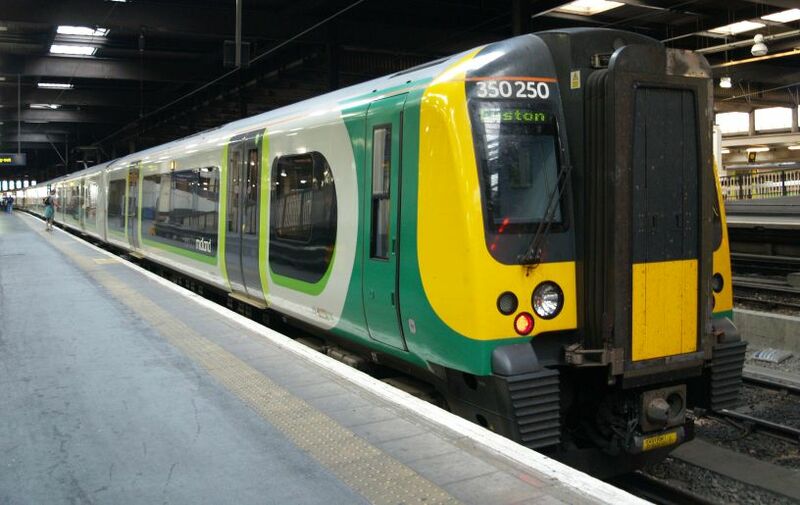 Class 350 025 (Class 350/2 EMU 350250) standing in London Euston station. 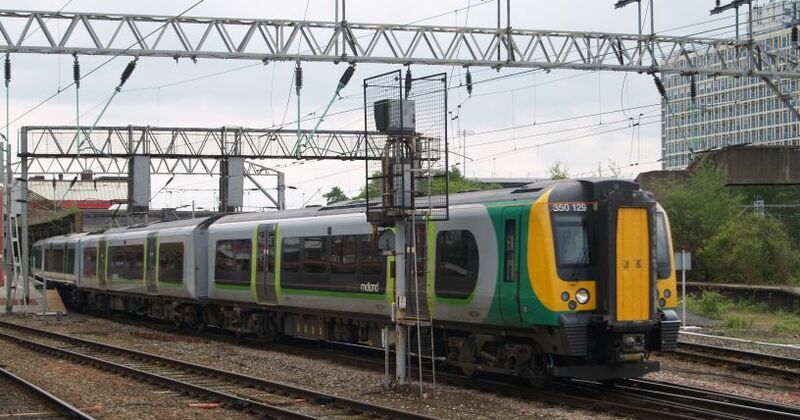 Class 350/2 EMU units can only operate on 25 kV AC overhead supply (max speed 100 mph, 161 km/h). 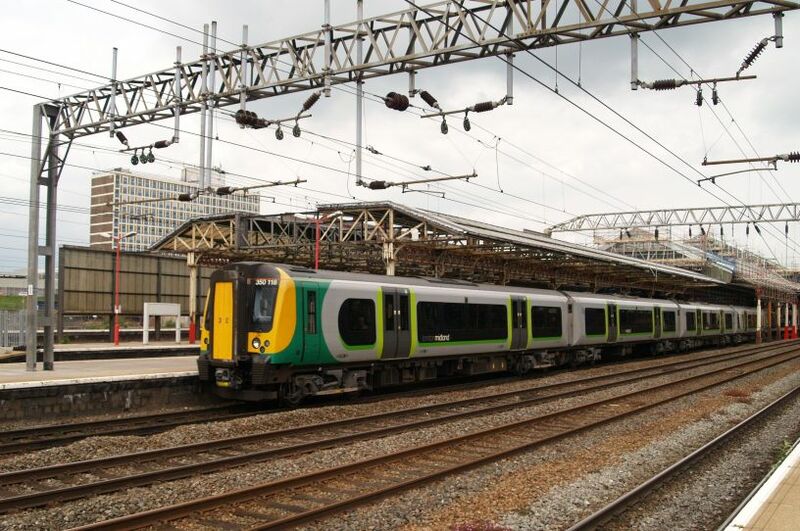 London Midland trains Class 350/1 EMUs 104 and 109 (EMU 350104 and 350109) standing in Euston Station, London. 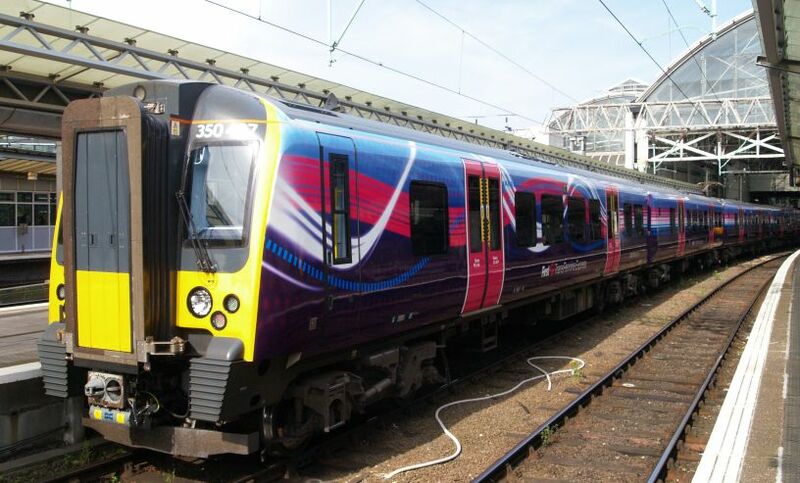 Class 350/1 can operate on dual voltage systems (26 kV AC, 750 V DC) and have been uprated to a max. 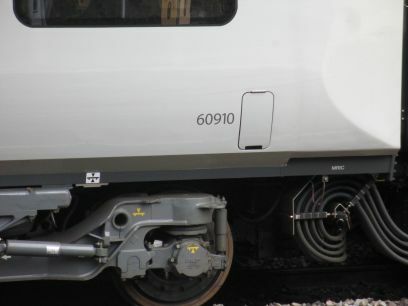 peed of 110 mph (177 km/h). 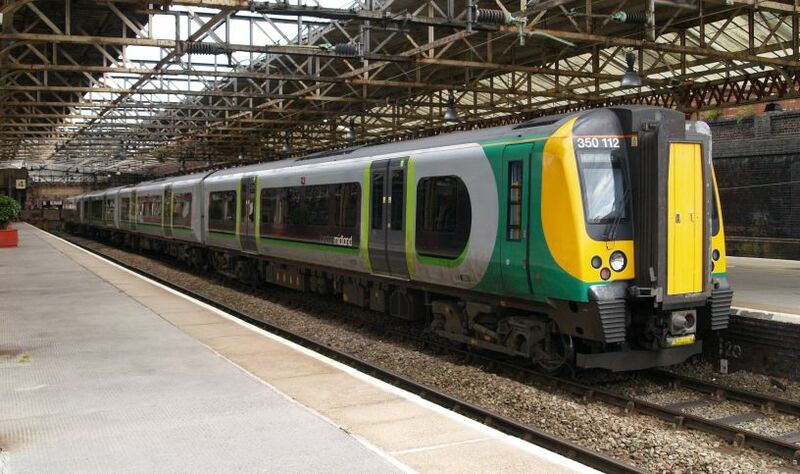 London Midland have ordered more Class 350/4 electric multiple units for 2013-2014 and some of these Class 350 EMU 4-car trains are being operated by TransPennine for an enhanced Manchester to Glasgow service (see below). 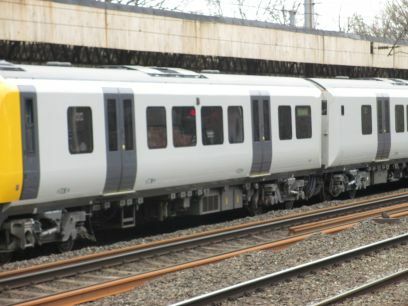 These Class 350/4 units will have a max. 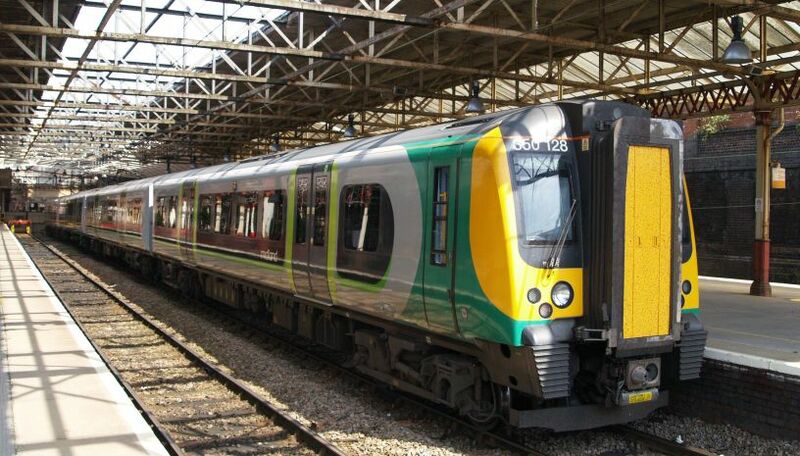 speed of 110 mph (177 km/h) and will have an inter-city style layout. 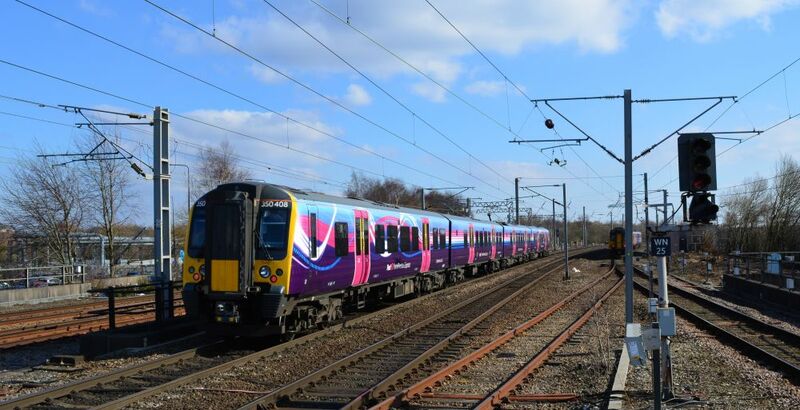 A TransPennine Class 350 EMU 350410 at Wigan NW with a Glasgow Central to Manchester Airport service. 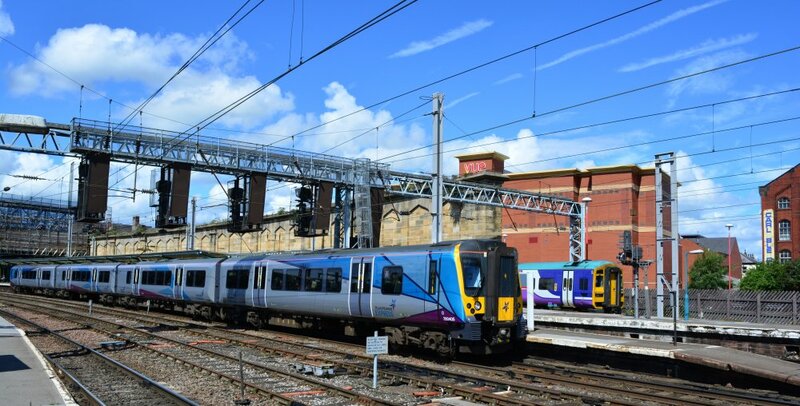 Above: Two of the new (April 2014) Class 350 electric multiple units forming a TransPennine express EMU train from Manchester Airport to Glasgow service, here seen stopping at Lancaster station. 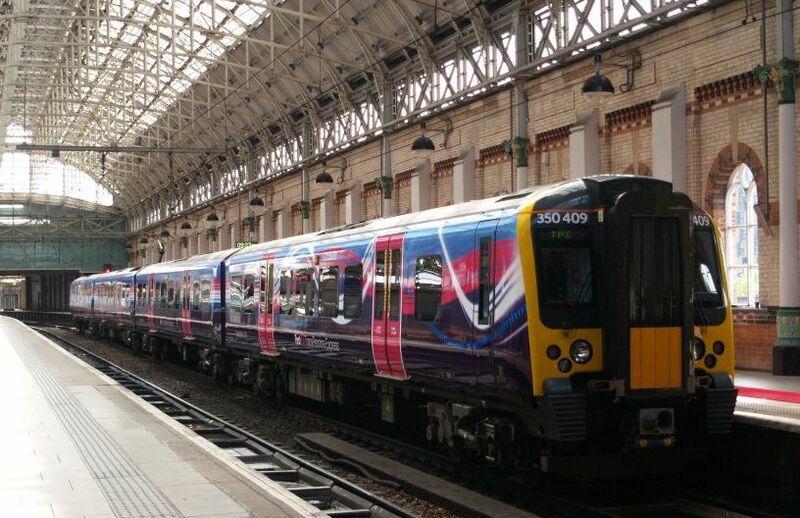 Heading the train is Class 350 350409 in TransPennine livery, but the rear carriages of car-set 350410 are in plain grey livery and yellow cab ends. 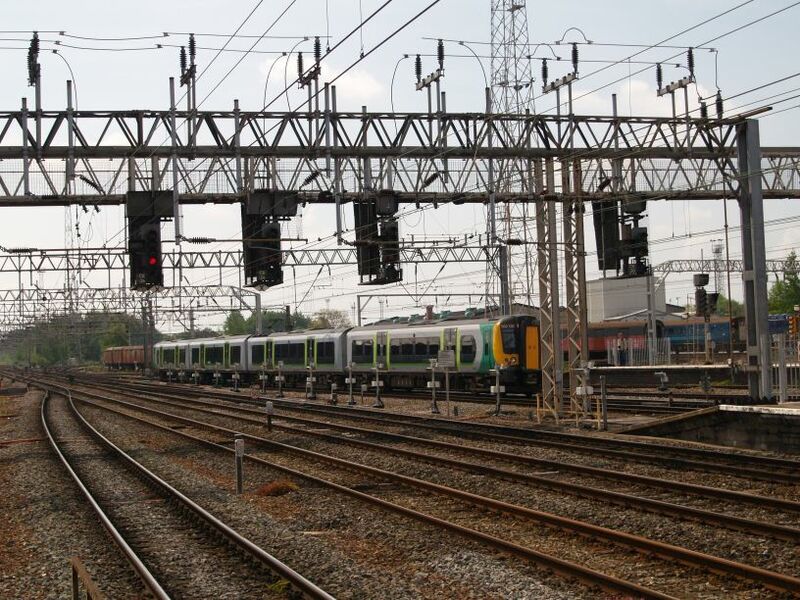 Class 3500 electric multiple unit train (EMU 350120) leaving Crewe station, going south on a stopping train to London Euston. 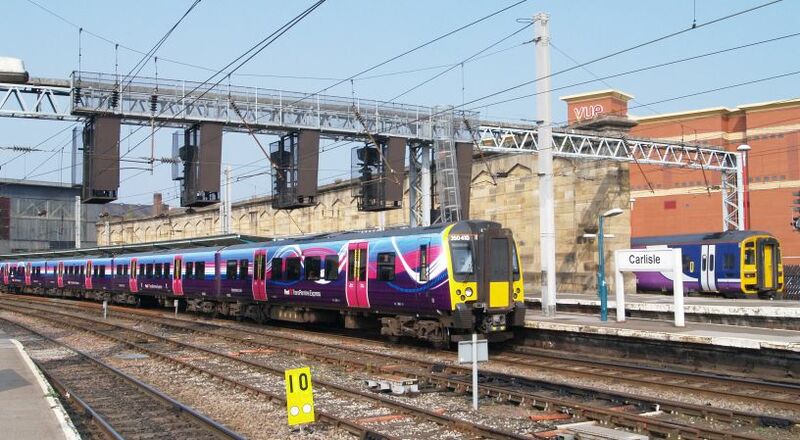 TransPennine Class 350 EMU 350409 at platform 4 of Wigan NW with an Edinburgh to Manchester Airport service. 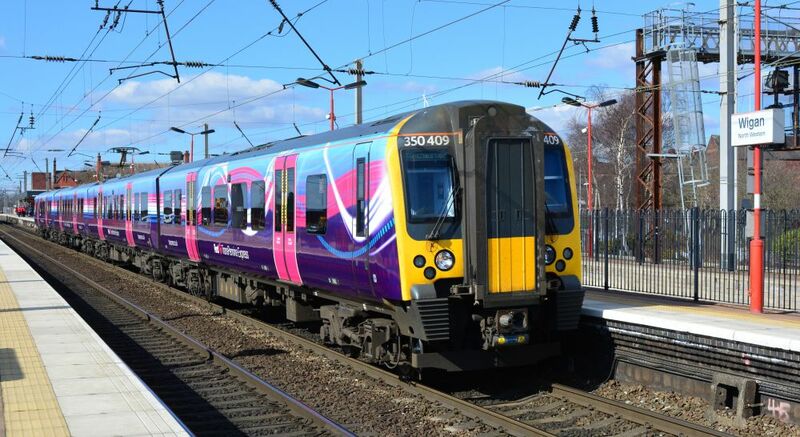 Class 350 EMU 350408 leaving Wigan NW with a TransPennine Glasgow Central to Man Piccadilly service. 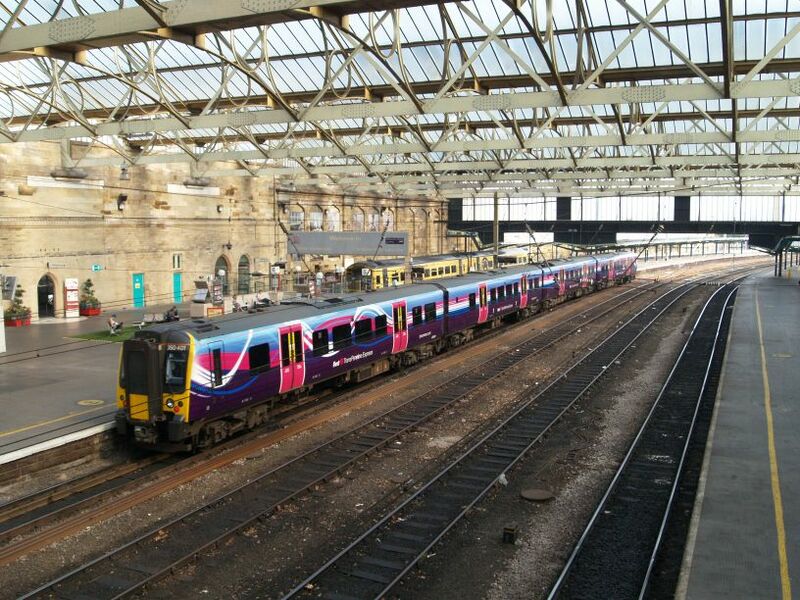 TransPennine Class 350 EMU train set 350406 at the head of an 8 carriage train from Edinburgh Waverley to Manchester Piccadilly stopping at Carlisle station.